In Tibet people love to gather in a beautiful location. Sometimes it's for a simple picnic, other times a more elaborate affair lasting several days during which people camp in furnished tents, eat extravagant meals, make offerings to the local deities and maybe even race horses. Whether modest or regal, these gatherings are always an opportunity for singing, dancing, playing games and decompressing. This tradition is what Norden is founded upon. Surrounded by the majestic natural beauty of the Tibetan Plateau and immersed in profound culture, Norden takes you deep into the nomad experience with splendid comfort and authentic Tibetan hospitality. A unique opportunity to fully enjoy the richness of the Tibetan Plateau, Norden is about quality, service, luxury and life-altering adventure. Created by former nomads as a means to share their heritage with those beyond their borders, Norden is owned and operated by local Tibetans. 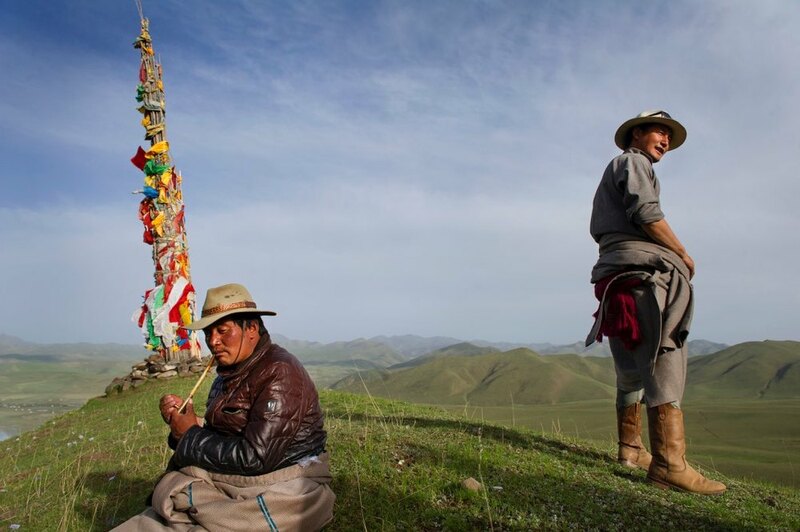 Yidam Kyap is a Tibetan nomad who saw the world and returned to his homeland with a strong desire to share its astounding natural beauty and rich cultural heritage. He and his wife, Dechen, are the visionaries behind Norden Camp. The success of their concept lies on their ability to strike a delicate balance between comfort and cultural and ecological responsibility. Norden is conscious luxury combined with sustainability and respect for the environment. 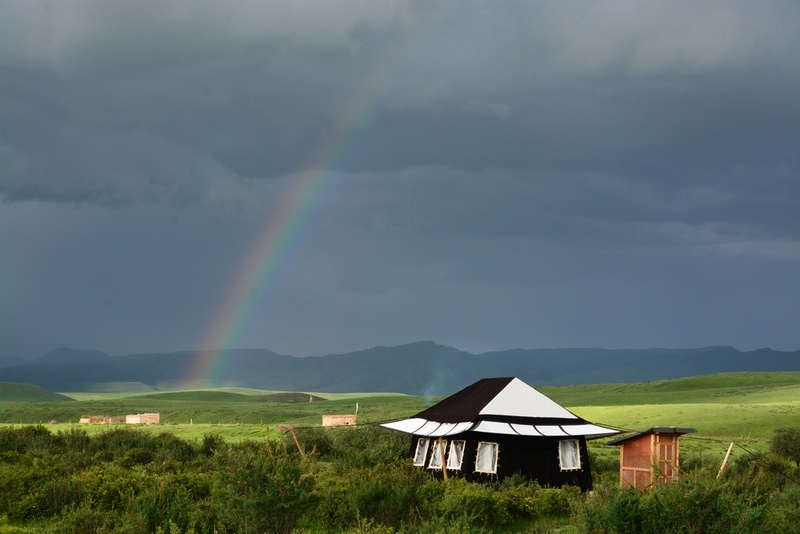 Norden Camp is located within the Tibetan Autonomous Kanlho Prefecture (Gannan) of China’s Gansu Province, near the celebrated Labrang Tashi Kyil Monastery (Xiahe). 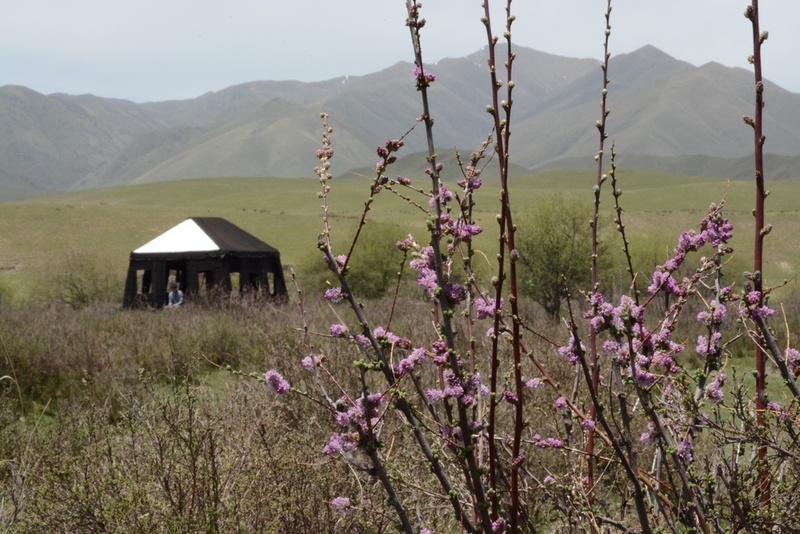 At 3,200 meters (10,500 feet) above sea level the Norden campsite, bordered by a meandering river, covers 11 hectares (27 acres) of pastoral grasslands that doubles as a grazing area for sheep and yaks during the winter. Sightings of hares, marmots, gazelles, pheasants and other colorful birds are common. Getting Here: Norden Camp is 30 minutes from Gannan Xiahe Airport (GXH), accessible worldwide via Lhasa, Xi'an, and Chengdu. The camp is a 4.5 hour drive from Lanzhou Zhongchuan Airport (LHW), accessible worldwide via all major Chinese cities. Comfortable private sedan and van transportation are available from both airports. Visa Requirements: A Chinese visa is required to enter China. No Tibet Autonomous Region (T.A.R.) visa is required in this part of the Tibetan Plateau. The weather in summer varies from 15 to 25 degrees Celsius (60 to 75 degrees Fahrenheit). Spring and fall are beautiful, with warm sun, clear skies, and snow on occasion. The local altitude is 3,200 meters (10,500 feet).